Bullet the Blue Sky has become a must play U2 song at every concert. It was originally on The Joshua Tree album and then was featured in a live version on Rattle and Hum album. During the Joshua Tree Tour in the late 80s, Bono would frequently grab a large spotlight and shine into peoples' faces in the audience, performances during which he also made numerous political references to figures such as Ronald Reagan and Jerry Falwell. U2's following album, Rattle and Hum had a cover of this light shining theatre. 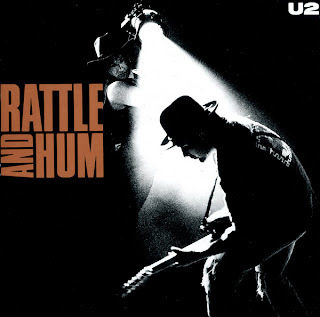 Rattle and Hum featured a performance of this song, with a pre-recorded intro of Jimi Hendrix's version of "The Star-Spangled Banner". Bullet the Blue skies lyrics then took on new meanings throughout the subsequent years. On the Zoo TV Tour, it was about Nazism; on the Elevation Tour, the lyrics became an indictment against handgun violence, illustrated by references to John Lennon's assassination and an ironic intro video clip featuring Charlton Heston, who was at that time the leader of the National Rifle Association. On the Vertigo Tour, it was about religious violence and the final lyrics were replaced by a snippet of "The Hands That Built America".